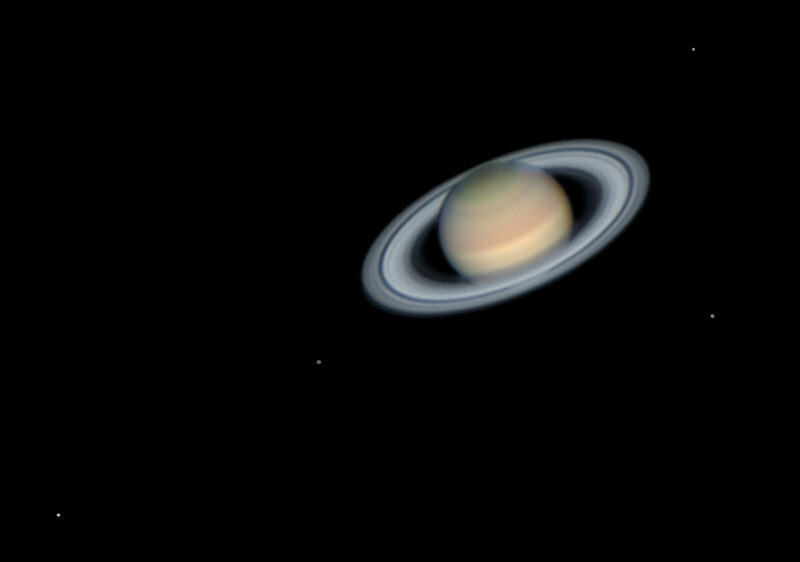 This will probably be my last planetary image for now since I want to get back to DSOs, so I decided to try something a little different. It's a composite shot with the moons. Had to set the gain and exposure time way up to get the moons (was only getting 4 fps). Also spent more time trying clean up the image. Hopefully it's not over done. Well, you certainly did it up right for you final planetary shot for a while!!! Beautiful. The ring detail is exquisite.